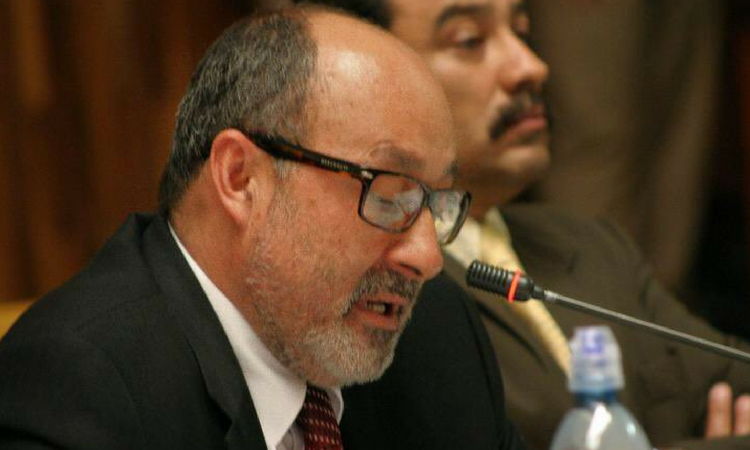 In an interview at the prison at the Mariscal-Zavala military base—where he is now confined, thanks to the United Nations’ so-called anti-corruption commission or CICIG—Guatemalan attorney Moisés Galindo revealed the CICIG’s campaign of personal destruction waged against him. When Galindo’s client appeared in court, shepherded there by a CICIG prosecutor to offer evidence against her own attorney, the judge signed off on that patently illegal maneuver and ordered Galindo’s arrest. Following Galindo’s arrest, the Soviet-style propaganda machinery of the CICIG went into action. “The CICIG manages itself with a media strategy. When they arrested me, [the CICIG and the justice minister] had the press waiting.” The purpose was to shame Galindo in front of the whole country. It was another move disallowed by Guatemala’s law and constitution. “Provisional prison” is the best that a corrupt system—the one that’s run by the CICIG and administered by Guatemala’s Justice Ministry—can manage against Galindo. Unfortunately, the CICIG’s judicial order can keep Galindo incarcerated indefinitely, without a verdict or any proof. Other prisoners in similar situations have been at Mariscal-Zavala for five years or more while the court system fails to give them their trials, or while the CICIG is still “collecting evidence.” In some cases, the maximum sentences for the offenses these prisoners have supposedly committed already exceeds the amount of time they have spent in jail. Galindo is the political prisoner of an amoral, totalitarian movement bent of taking full power in Guatemala. The same movement, with the same strategy and tactics, is in many countries, and those countries could benefit from studying Guatemala’s plight today. The only clear way to get justice for Galindo, and indeed for the society in which he lives, is to recognize the shortcomings of the CICIG and then strip away its ill-gotten powers.